Today is Election Day, so please make sure you're prepared to vote if you have not done so already. Make sure you have a photo ID that is acceptable for voting. 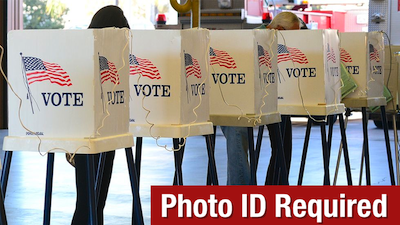 Take a moment to look over the IDs pictured left to ensure you have a photo ID that can be used for voting. If you already have a Wisconsin driver license or one of the other acceptable forms of ID for voting, then you're "ID ready." Just remember to bring it with you when you head to your polling place! If you don't have an acceptable ID for voting on Election Day you can STILL vote. You can ask for AND vote with a provisional ballot. But, for your ballot to be counted, you MUST either come back to your polling place with an acceptable form of ID before it closes at 8:00 pm on Election Day OR bring your ID to your municipal clerk's office by 4:00 pm the Friday after the Election (November 11th). If you or someone you know needs help getting a DMV-isssued Wisconsin ID before that November 11th deadline, contact our partners at VoteRiders at one of these two voter ID hotline numbers for assistance: (608) 729-7720 or (414) 882-8622. If you are a college student using your student ID for voting, make sure that ID is compliant. If you do not have one of the other forms of photo ID pictured above, and you are a college student hoping to use your student ID and a proof of enrollment document as your "voter ID," look up your school NOW on the appropriate list linked below to see if your current student ID is an acceptable form of ID for voting. If your student ID cannot be used for voting, you can find out if a separate school-issued "voter photo ID" is available and how to get one. Make sure you're registered to vote, and if you are not, bring what you need to register at the polls. Before you head out to the polls, check to see that you are registered to vote at your current address. If you are not, be sure to bring a proof of residence document (hard copy or electronic on your cell phone or tablet) when you go to the polls so that you can register there. Be sure you know the location of your polling place, and make a plan on how you'll get there. If you're not sure where to vote, you can look up the location of your polling place here. Do you need a ride to the polls? CC/WI has both identified and recruited organizations and individual volunteers across the state willing to offer free rides to the polls. The latest list of free ride options is available on our website here. Have voting questions or problems? 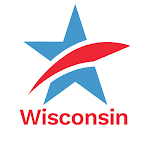 Common Cause in Wisconsin is once again partnering with the nonpartisan Election Protection coalition, led by the Lawyers’ Committee for Civil Rights Under Law, to provide "guidance, information and help to any American, regardless of who that voter is casting a ballot for." You have the right to vote without harassment or intimidation at your polling place. Election Protection’s highly-trained legal volunteers are available to assist voters with any questions or problems, no matter how simple or complex. Voters may call 1-866-OUR-VOTE (1-866-687-8683) toll-free with any questions or issues that may arise. Spanish-speaking voters may seek assistance through the 1-888-VE-Y-VOTA (1-888-839-8682) hotline. Today is Election Day: What You Need to KnowTweet this! Are you Registered and "ID Ready" to Vote?